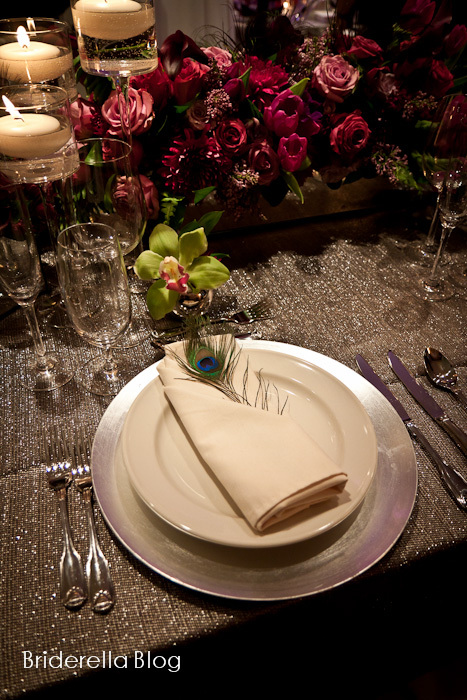 If you are having trouble picking a colour scheme, we don’t blame you! 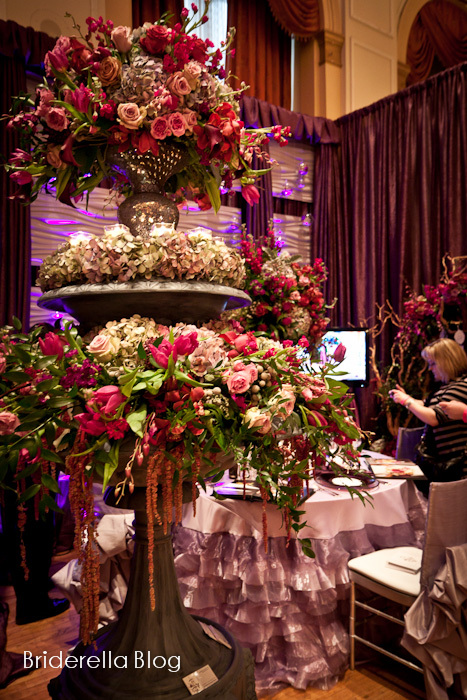 Beautiful rich colours were in abundance at the Wedluxe show. 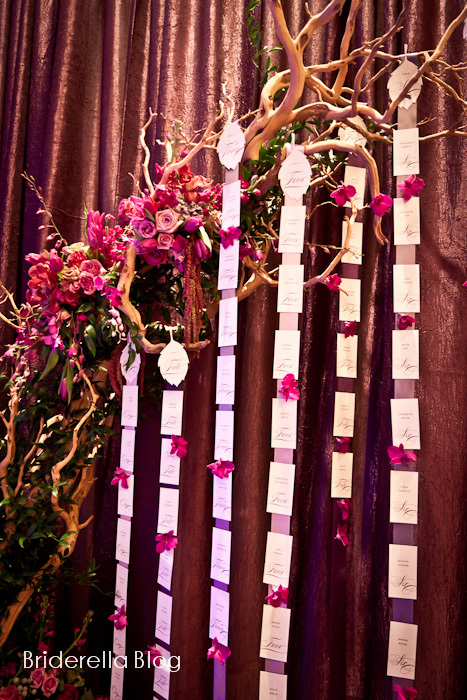 I love these placecards on a branch. 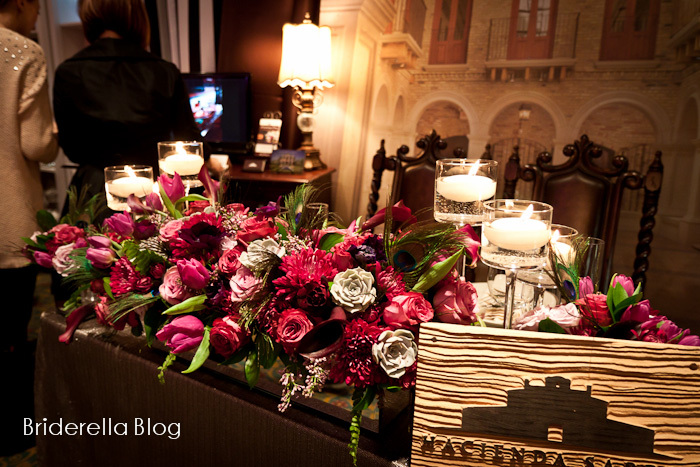 From Event Decorator. 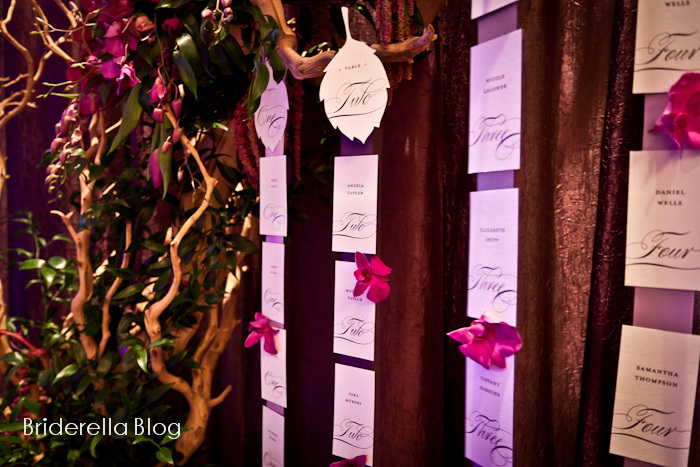 Lotus acrylic menus from Asian Fusion Weddings. 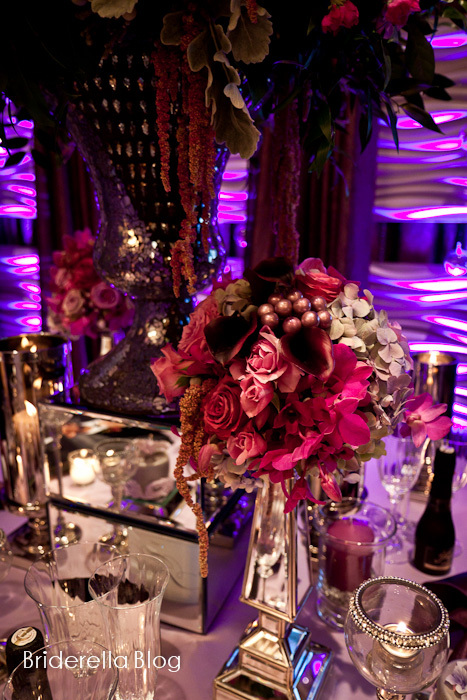 This entry was posted in Wedding Visual Inspiration and tagged outdoor-inspired wedding ideas, purple by briderella. Bookmark the permalink.